The stories of generations of progress can disappear when those who experienced them die. At UTA, researchers are working to ensure those voices will never be lost so that future generations can continue to benefit from the historical record. His leathery hands rub together as he struggles to remember. Visions of the past are fleeting in his mind. He recalls brief images of playing cowboys and Indians or cops and robbers with his brothers. When he was a child, sprawling Dallas suburbs were still rural communities. He can't recollect what he did for work before he had kids, but his voice lights up when he reflects on the love and joy he has for his grandchildren. He remembers the first typewriter he purchased for my grandmother, a writer, but gets a distant look when he recalls fears over the Vietnam War draft. Earlier this year, I had the opportunity to interview my grandfather for an oral history project. He suffers from Alzheimer's, but some memories remain untouched by the disease. His recollections give a sense of what life was like for him, an average citizen coming of age in post-World War II America. While interviewing him, I realized I was preserving not only his past, but also the perspective of an entire generation. In an admittedly much smaller way, I was working at something researchers at UTA are exploring in depth every day. 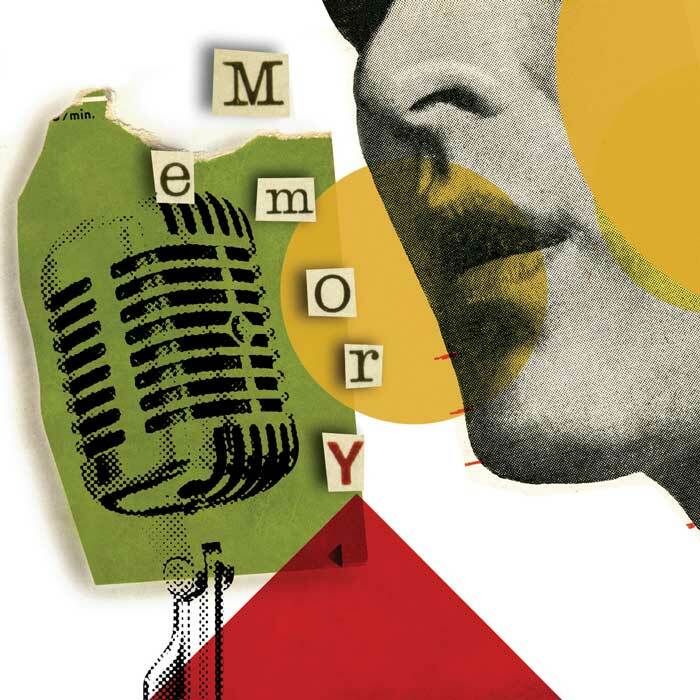 Going far beyond simple memory collection, UTA's oral history projects are protecting and promoting often-ignored voices in several distinct areas. Through projects like the Texas Disability History Collection (TDHC), Preserving HERstory: Mapping Women's History in Texas, and Maverick Veterans' Voices, researchers are transcribing, and digitizing oral histories to ensure the preservation of traditionally marginalized communities. According to the U.S. Census Bureau, nearly one in five Americans has a disability. As Sarah Rose, associate professor of history and director of the minor in disability studies, points out, many people with disabilities don't know their own history. Enter the Texas Disability History Collection. UTA has been a leader in disability rights, adaptive sports, and accessibility for over 50 years, but Dr. Rose saw a gap in the disability history record. Working with UTA Libraries' Special Collections and Digital Creation teams, Rose began to identify and collect photos, articles, and interviews related to disability history. UTA Libraries houses thousands of photographs, letters, interviews, and more predominantly from Texas. The full collection also includes thousands of photos, negatives, and clippings from the Fort Worth Star-Telegram archives. Through the TDHC, researchers are currently sifting through existing records to add to the collection. The TDHC is also actively working to expand the UTA Libraries collection. Starting in 2013, students in Rose's disability history classes and her graduate history students also began to collect oral histories about disabled people's lives and the fight for equal access. Taylor Long, a senior history major with a double minor in women's and gender studies and disability studies, is focusing her internship on the experiences of transgender people with disabilities. Long's oral histories focus on the interaction between gender identity and disability. "Trans people and people with disabilities are often left out of the traditional historical narrative," Long says. "I'm excited to archive these stories to include them in the larger scope of American history." The TDHC website, funded through a $25,000 Texas State Library and Archives Commission/Institute of Museum and Library Services grant, launched in October 2016. As the only disability history archive in the Southwest, the collection is playing a critical role in preserving the ongoing struggle to achieve disability rights and accessibility. Rose and her colleagues are now expanding the project beyond UTA and Arlington by reaching out to disability organizations across the Dallas-Fort Worth Metroplex and Austin. The opportunity for a national audience to utilize the collection to explore historical perspectives on disability is integral to the future of disability rights. "Texans have long helped lead the fight for disability rights," Rose says. "Their decades of advocacy are a key part of why students with disabilities now have the right to attend college like their peers, why sidewalks are accessible, and why people with disabilities have the right to live in the community rather than be trapped in nursing homes or institutions. They helped remake the world full of possibilities for future generations." One of the newest digital archival projects on UTA's campus is Preserving HERstory: Mapping Women's History in Texas. Led by Sonja Watson, associate dean for the College of Liberal Arts, and Kenton Rambsy, assistant professor of English and digital humanities, HERstory highlights Texas women who have helped shape the public sphere in politics, business, science, education, and more. "We're focusing on all women in Texas," Dr. Watson says. "We want to incorporate as many women from different backgrounds, cultures, and ethnicities as we can." To ensure the archive is as inclusive as possible, HERstory has partnered with the Spanish translation and interpreting program at UTA to translate all documents into both English and Spanish. The HERstory project hopes to empower women of all races and cultures to participate in academia and digital histories. A College of Liberal Arts seed grant allowed the project to get underway, and Watson was able to hire graduate students to research current archives for the Preserving HERstory collection. As with other oral history projects, Watson and her team are utilizing the Special Collections archive. In addition to collecting and archiving the data, Watson and Rambsy are planning a digital gaming component. "This will be a great way to enhance education of students at the K-12 level," Watson says. The current prototype will allow students to use their smartphones to learn about fascinating and notable women from the very same communities they live in now. By accessing this data in a new, interesting way, future generations of Texas students will have a dynamic opportunity to learn about the women who helped shape this state. UTA has always been committed to supporting the women and men who serve our country. A partnership between UTA Libraries and the College of Liberal Arts is ensuring that the stories of UTA veterans are remembered. The mission of Maverick Veterans' Voices is to honor and preserve the experiences of the men and women of the UTA community who have served in any branch of the military. Oral histories and biographies have been collected from UTA alumni, faculty, staff, students, and family members. Rex Latham, an alumnus of Arlington State College (one of UTA's previous iterations) and an Army veteran, has played an influential role in identifying fellow Corps of Cadets alumni to interview. Latham served in the Dominican Republic, Vietnam, and Thailand from 1965-69. He was awarded the Silver Star medal for heroic actions and joined the Central Intelligence Agency after leaving the Army. "This project is an important way to preserve the military or military-related personal experiences of the men and women of the UTA community," Latham says. "I hope my own shared military experiences and lessons learned will be useful—or at least entertaining." Since the project began, Digital Projects Librarian Jeff Downing and his team have interviewed at least three Corps of Cadets alumni each year during the UTA Military Science Hall of Honor ceremony using video equipment originally funded by the College of Liberal Arts. Many veterans have spoken about the mundanities of life aboard a ship or on a military base. Despite being halfway around the globe or in combat situations, daily life continued, just as it did at home. On some occasions, however, the Maverick veterans recalled their experiences in combat. In his own recorded history, Wendell Nedderman, sixth president of UTA, remembered seeing kamikaze pilots at Iwo Jima and Okinawa when stationed in the Pacific during World War II. "You think there's a possibility that it someday may be you, but also maybe not," he said. "So I didn't worry about it. I was in pretty good shape." Family members of military members also have been interviewed for the project. They reflect another side of the military experience—those who remain at home while their loved ones face danger. The site also features an in memoriam section dedicated to the Mavericks who made the ultimate sacrifice defending their country. Downing speaks to the importance of Maverick Veterans' Voices and other digital history projects at UTA when he points out that when people are gone, their stories go with them. "Recording their stories is important to the historical record of what actually happened," he says. "The recordings become primary source material that can then be used not only by UTA faculty and students, but by researchers worldwide." Interested in memorializing a history for future generations? It's easier than you might think! Develop a list of questions that will create a full picture of the individual's life story. Determine what audio and visual collection tools you will use. What materials will help the story? Identify photographs, letters, and newspaper articles that will support the oral history. Establish what you want to do with the oral history. Will you share it at a family reunion? Host it on your website? Submit it to an archive?